Artist’s concept of interstellar object ‘Oumuamua. Image via ESA/Hubble; NASA; ESO; M. Kornmesser. In late 2017, astronomers became aware of an interloper in our solar system, a small asteroid- or comet-like object from another star system. Interstellar objects had been expected, but the object – subsequently named ‘Oumuamua – was the first ever confirmed But what is ‘Oumuamua? Scientists and others immediately began speculating and devising theories. An asteroid, a comet … or could it be an alien artifact? Scientists at the SETI Institute used the Allen Telescope Array to observe ‘Oumuamua when it was about 170 million miles (274 million km) away, or slightly less than the diameter of Earth’s orbit. Their intention was to measure artificial radio transmissions which, if found, would be strong evidence that this object is not simply a rock tossed into space by a random gravitational slingshot interaction that occurred in its home star system. We were looking for a signal that would prove that this object incorporates some technology – that it was of artificial origin. We didn’t find any such emissions, despite a quite sensitive search. While our observations don’t conclusively rule out a non-natural origin for ‘Oumuamua, they constitute important data in accessing its likely makeup. 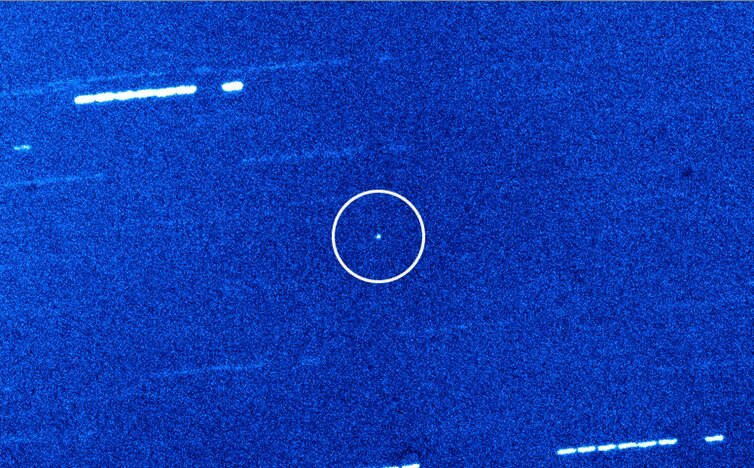 Our best view of ‘Oumuamua, from the William Herschel Telescope on October 29, 2017. Image via Queen’s University Belfast/William Herschel Telescope. 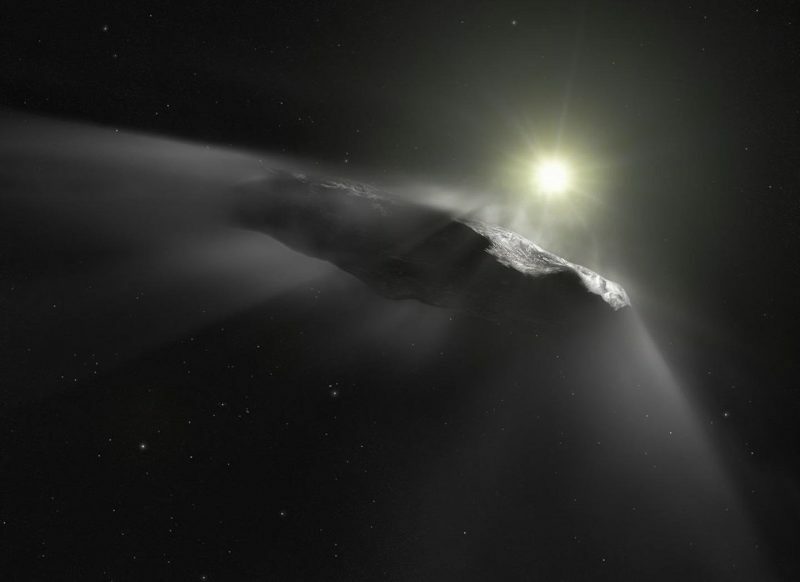 Following its discovery in October 2017, ‘Oumuamua was the subject of popular speculation about a possible non-natural origin. In November 2018, a paper by researchers at Harvard suggested the possibility that ‘Oumuamua is a deliberate construction – something like a lightsail or solar sail, a spacecraft whose propulsion method is the radiation pressure or “wind” from stars. Read more about the Harvard study: Could ‘Oumuamua be an alien lightsail? Observations were made between November 23 and December 5, 2017, using the wide-band correlator of the ATA at frequencies between 1 and 10 GHz and with a frequency resolution of 100 kHz. No signals were found at a level that would be produced by an omnidirectional transmitter on board the object of power 30 – 300 milliwatts. In portions of the radio spectrum that are routinely cluttered by artificial satellite telemetry, the threshold for detection was as high as 10 watts. In all cases, these limits to the powers that could be detected are quite modest – comparable to that of cell phones or citizen band radios. Bottom line: A SETI Institute radio search using the Allen Telescope Array finds no artificial emissions from ‘Oumuamua.